After meeting their senior year at the College of Charleston, Danté and Lauren enjoyed a five-year courtship before he popped the question on the grounds of their alma mater. 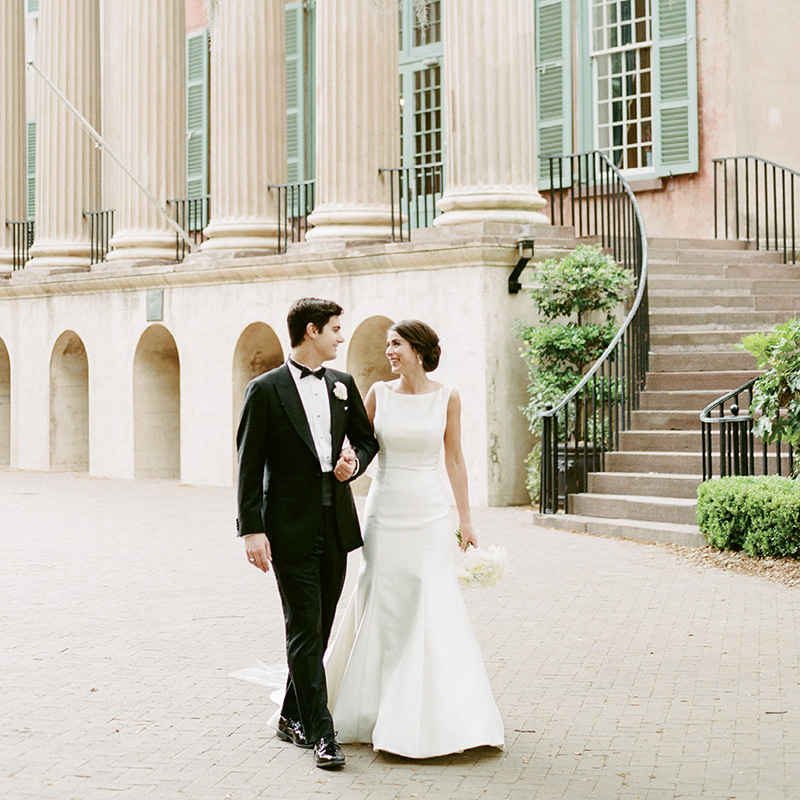 Four months later, the two, pictured here at the CofC Cistern, wed at St. Mary’s Catholic Church downtown and celebrated afterward with family and friends at The William Aiken House on King Street. They now reside in the groom’s hometown of Philadelphia. Click here to see their full wedding on The Wedding Row.